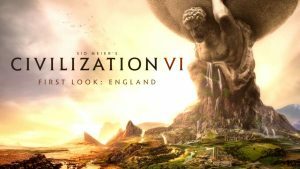 Civilization VI is taking climate change to a new level with the Gathering Storm edition of the game, available for Windows PC users in February. The game manages to capture the resilience of the human spirit while focusing on the climate’s impact on the world’s changing ecosystem. By adding nine leaders and eight civilizations, the developer also enhances the natural calamities to include more destructive floods, erupting volcanoes, and disastrous storms. Robust floods replace static flood areas, moving across flat plains and Grasslands near rivers. It’s a desirable area to settle because of the fertile soil. However, the flooding damages structures and requires the wherewithal to rebuild after the destruction. There’s good news! The developers have included a Dam district to help players alleviate the dangers associated with high floods. Areas with volcanic activity afford gamers the same type of risk scenario as the floods. The reward is great if you can overcome the challenges. Players weigh the long-term benefit of settling on rich volcanic soil against the possible dangers associated with flowing magma during an eruption. The game also has geographic upgrades, including accuracy in the continental barriers and geology. Players must use their skill to overcome four types natural disasters, including ship-sinking hurricanes, desert storms, droughts, and blizzards. The climate change effects span the globe, creating challenges for civilizations that bring the game to life. Players must adapt by harnessing the power of nature to create clean energy. The developers have created a game that mirrors real-life choices such as burning coal, oil, or uranium and increasing carbon levels. CO2 levels affect global warming, therefore increasing storms, floods, and rising sea levels. There are a range of living alternatives, including solar and wind farms. Perhaps your ingenuity may just save the world. Gathering Storm lets you track your diplomacy with the new World Congress. Perhaps players can convince the global citizens to adopt innovative ideas.